Actor Alfie Curtis, famous for his portrayal of Dr. Evazan in the original Star Wars, has passed away at the age of 87. The actor also starred in films like The Elephant Man, The Wildcats of St. Trinian and Take It or Leave It. Curtis' character's name might not immediately ring a bell, yet he has the distinction of being one of the first characters to antagonize Luke Skywalker and Obi-Wan Kenobi in the Mos Eisley Cantina. While Luke tried to purchase a beverage, he accidentally collided with Ponda Baba, forcing Evazan to interfere and tell Luke that he was so dangerous that he had a death sentence on 12 systems. Despite Kenobi's best attempts to mediate the altercation, Baba wouldn't let bygones by bygones, forcing the Jedi Master to retrieve his lightsaber and disarm the character, giving audiences one of the saga's most memorable amputations. The character may not have earned much screentime, but various books and extended universe materials fleshed out the character's terrifying backstory. During the character's training to become a doctor, he reportedly found an affinity for "creative surgery," in which he caused his patients more harm than good. 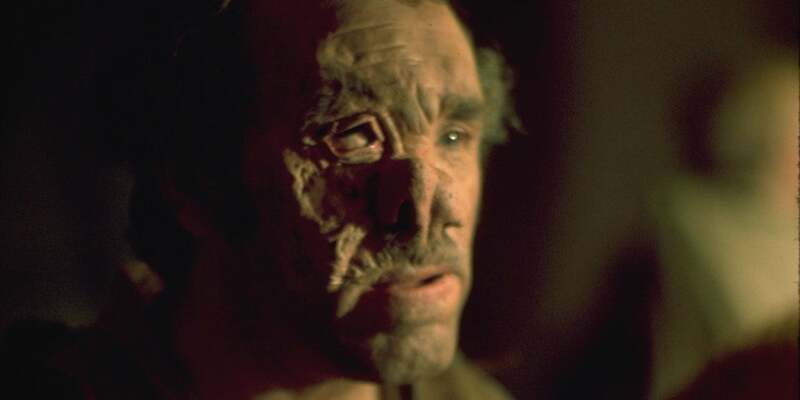 Evazan gained a reputation for his disfiguring ways, putting him in the crosshairs of a bounty hunter. Rather than killing Evazan, the bounty hunter gave the doctor a taste of his own medicine and disfigured him. Ponda Baba intervened in the incident, creating a bond that survived for years. The duo became a smuggling team, working for Jabba the Hutt on various missions. The high price on Evazan's head made Baba contemplate turning his partner in to collect the bounty, yet he realized that it could be more profitable in the long run to maintain their smuggling exploits. In last year's Rogue One: A Star Wars Story, the legend of Evazan and Baba continued when Jyn Erso and Cassian Andor briefly encountered the pair on Jedha. The interaction was quick, but expanded upon the pair's far-reaching criminal activities. In addition to his role as Evazan, Curtis starred in multiple British TV series such as Cribb, Larry Grayson andLost Empires.